Sally shares her irresistible tiramisu recipe, the classic coffee and Marsala dessert made with sponge fingers and cocoa. Perfect for a dinner party, this recipe can be made the day before and takes just 45 minutes to prepare. 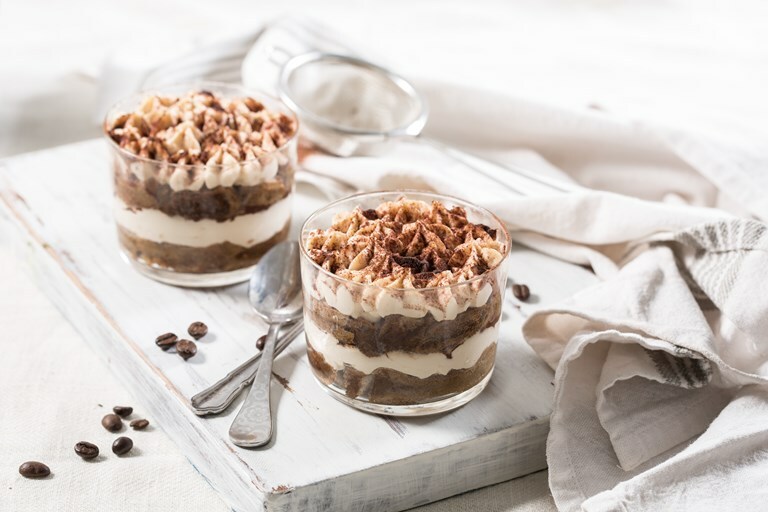 Often believed to be steeped in the history of Italian cuisine, tiramisu is in fact a relative newcomer to the field, with the first recorded recipes appearing in Italy in the 1980s. Meaning 'pick-me-up' in Italian, the combination of strong coffee and sweet mascarpone cream does exactly that and is easily prepared in advance (even the day before) for a special lunch or dinner party. Not one for the kids, this version is full of sweet Marsala but it can be substituted with a little vanilla extract if need be, although the boozy ladyfingers against the rich cream are the bit that does it for me the most.